Characterized by a wide range of products, the breakfast buffet is served in the nice room and it is our special way to wish a special morning. Serving at our buffet, you can choose to start your day with an hot beverage prepared by us expressed, in different flavors such as tea, chocolate, Cappuccino, and fruit juices. 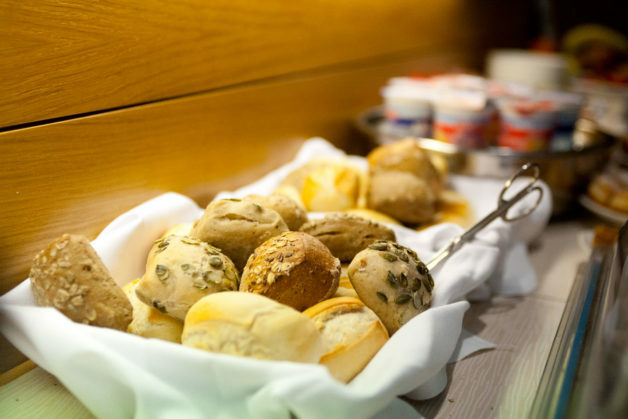 You can then choose to accompany drinks with baked goods such as freshly baked croissants or Rusks on which spreads the loose jams of different flavors served at the buffet. If you prefer your breakfast continue focusing on the salty, you can choose from eggs, bread baked the morning to accompany a ham and cheese. 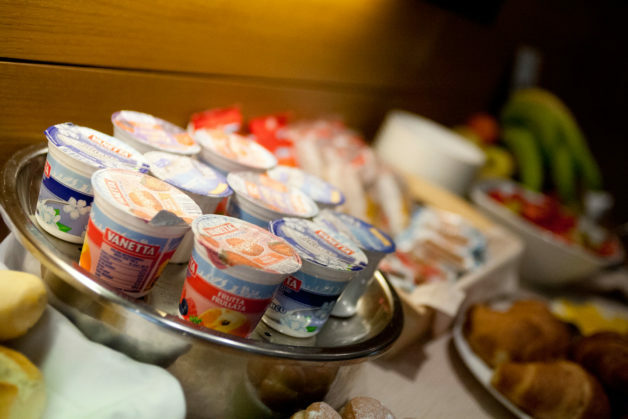 The fruit, our fresh fruit salad, yogurt, along with the wide choice of cereals and muesli, are some of the products we will introduce each day for you to enjoy a breakfast worthy of the name. Breakfast is served from 7.00 am to 10.00 am … if you have to leave earlier please let us know … You’ll certainly find something ready.